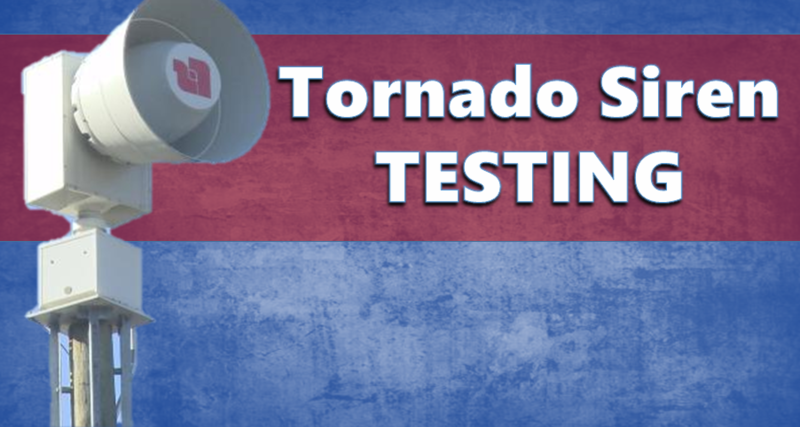 JASPER -- The Jasper Police Department is issuing a reminder to the citizens of Jasper that Wednesday, August 1 st , at 4PM, there will be a monthly test of the Tornado Warning Siren System. At that time, all 10 sirens in the city will be activated. This will be another in a series of monthly tests. The first day of each month has been designated by the Jasper Police Department and the Board of Public Works as the official test time. The rest of the sirens in Dubois County will be tested at 6 PM.